How we reacted to the needle stick injury in Gladstone. 18 Feb How we reacted to the needle stick injury in Gladstone. Since seeing that image of the syringe yesterday that I posted on our Gladstone News Facebook page my mind has been in overdrive. I was posting a warning that a 4 year old got pricked by a needle at Barney Point and his mum was feeling distressed, now faces a three month wait to get his blood work back to make sure he has not been infected. That image and scenario does bother me. A LOT. Because it’s had over 300 shares I feel a responsibility to talk about it and give some information about what to do in this situation. the risk of catching a serious infection as a result of an accidental needle stick injury is very low, because these viruses do not survive for long outside of the body. It has become a drastically reduced chance of this occurring due to the increase of Sharps disposal bins int he area. If you don’t like to read, scroll down to the ‘What to do’ information. Once you become a parent, it changes the way you look at the world. There seems to be more things to be paranoid about. A little worry about this or a small anxiety about that. You can’t just scroll facebook anymore and pass it over cause it jumps back into you head the moment you are at the park, beach or out with the kids. My name is Karina and I have two little kids (2yrs and 1yrs old) and we go out and play all the time. I am a writer at Gladstone News, after chatting with this local mother yesterday after the incident I wanted to help. But did i? To ensure we have not caused unneeded fear and that we can be helpful I have put together some information on what to do if this happens to you. Also here to admit i am a parent that also gets a bit paranoid after thing like this happen. I have never been an intravenous drug user, but sometimes I think like one. In my mind I say things like ‘this place looks like a spot people could have taken drugs let me do a site check before I let the kids out’. I have no idea why my brain thinks it can spot a good drug spot seeing as I have never lived that lifestyle but I will put it down to paranoia. Am I alone here? Or do we all do this? I know that one day soon i will be in a park with the kids and this image i posted on facebook will flash into front of mind and i will do a site check before they go and play. Its also important to know what to do in case in the very rare instance something like this happens. In the Gladstone Region a needle stick injury is rare. When a case like this does happen it’s from the accidental puncturing of the skin by a syringe needle left in places such as in parks, playgrounds or public toilets. When a person experiences a needle stick injury, there may be anxiety and distress, this is a natural response when thoughts of potential infection with blood borne viruses (BBVs) such as human immunodeficiency virus (HIV), hepatitis B and C occur. The risk associated with transmission of BBVs through needle stick injuries in community settings is very low. When somebody accidentally gets pricked by a needle as soon as possible, wash the area around the puncture for at least 30 seconds, using soap and warm water. Bottled water can also be used if no hand washing facilities are available. Do not squeeze or rub the area around the puncture instead, cover the site with band aid or similar dressing, seek medical advice immediately, if able to do so, put the needle in a rigid-walled, puncture resistant container (e.g. a soft drink can) and seal or securely close the container. Don’t panic – the risk of catching a serious infection as a result of an accidental needle stick injury is very low, because these viruses do not survive for long outside of the body. Gladstone Regional Council encourages sharps users to dispose of these items responsibly, in the interest of the community health and wellbeing. Sharps disposal bins are available in the locations listed below, during office hours. 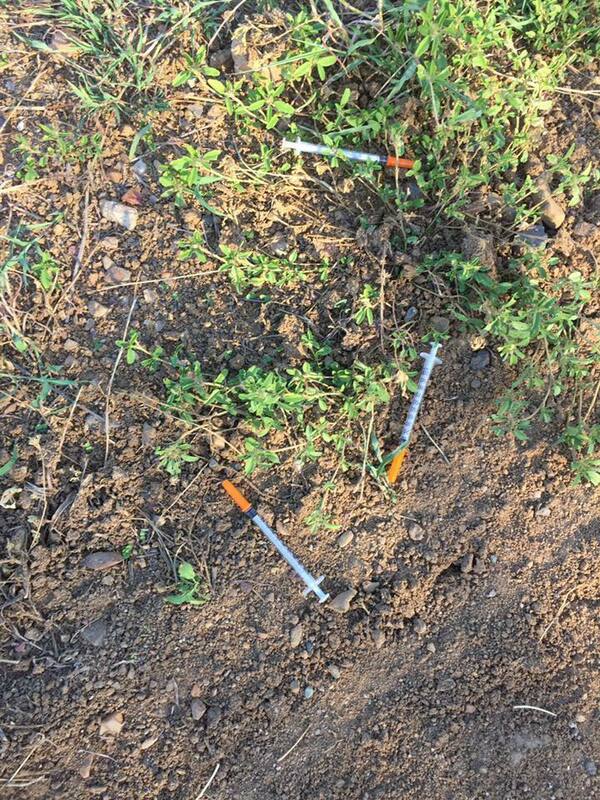 Disposal of syringes outside of hours should be undertaken at the Gladstone District Hospital. What also came out if this was a community reaction of blaming the mother. The mother of the child was criticized on social media for letting this happen. She was upset and devastated and people online accused her of not supervising her kids. For people who were not there, have no idea of the situation and may not even have young kids to lash out at a mother giving a waning is disappointing. Have we become a community that judges instead of understands that you cant always stop bad things like this happening> She wasn’t off having a coffee down the road, she was with her kids and they were playing. Could and has happened to other people.